December 18, 1930 The Stanley Theater was born and after a hard decade in the 80's it was closed down in 1991. It too was threatened to be torn down but in 1997 it was saved by a group of citizens and investment groups. It now serves as a theater for both live theater and movies as well.The theater was purchased back from Famous Players that same year. In later years Cineplex would buy out Famous Players in 2006. "The Theater was re-opened under the Artistic Direction of Art's Club Theatree Company production of "Swing" in October , 1988. 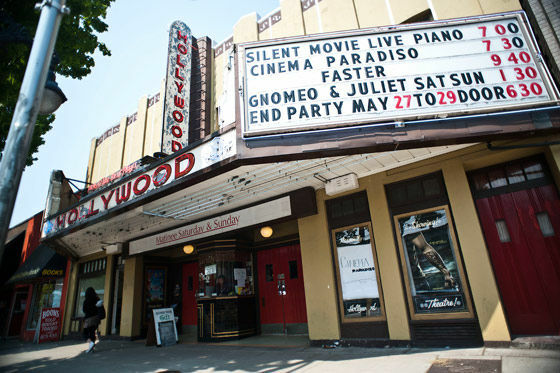 (1)"
(1) was from "South Granville .org-The Stanley Theater"
Another staple in the community of Vancouver is the Hollywood Theater on Broadway Street. The theater opened in 1935 and closed permanently in 2011. "A development application by 4184 Investments Ltd. has been submitted to the City of Vancouver to redevelop 3133 West Broadway, a property immediately west of the theatre building, into a new six-storey building with mixed-use purposes. The new building, designed by Marianne Amodio Architecture Studio, will consist of 4,423 sq. ft. of ground-level retail and 40 market housing units in the upper floors. There will be two levels of underground parking with a total of 47 parking spaces. The new building will have a total floor space area of 63,000 sq. ft., including the 8,000 sq. ft. theatre, which is one of Vancouver’s largest standalone theatres with 651 seats – larger than the Rio Theater in East Vancouver. 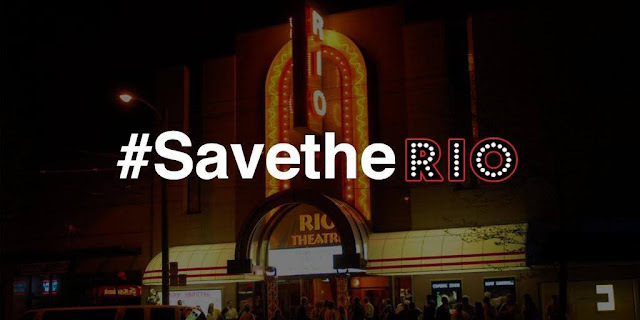 (2) was from "The Daily Hive"
Now we come to the final approach to the Rio Theater and Corrine Lea and her staff's undying love for this treasure in the city of Vancouver. 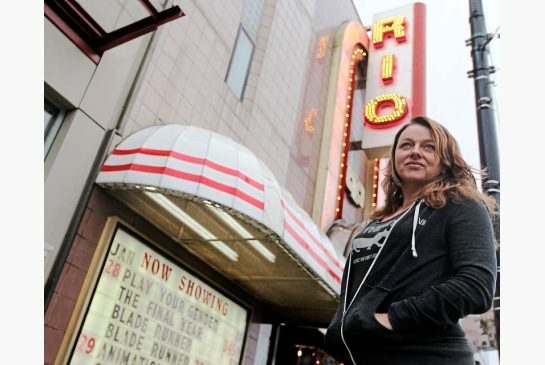 Where others give up and walk away, she fought the BC Liquor Board and won the right to serve alcohol in her theater. It had a rippling affect across the province. Where others will just have live theater and movies, this is where the Rio stands out. From Movies to live concerts, theater, film festivals, live music, spoken word & Burlesque dancers. A true market of unique and different styles for any taste across the board. With an effort to she started with a petition and within 5 days they were able to get 20, 000 signatures! Here are some videos below , some history and also the 30 hour Telethon that raised $80, 000 over the 2 evenings. The telethon went on and both Pat & Eric I was told by Corinne that they fought long hours and tiredness and was able to keep on track of the events happening and there were even some guests at The Rio that stayed for the entire 30 hours. Their love and dedication showed and ended up generating more amazing numbers for The Rio of the entire time of $80, 000. Now we have all this video for support but there is some other news as well if you are not following what is happening with all of this. Actor Ryan Reynolds tweeted back on March 11th, he also gave a generous donation that he has requested remain unknown. Also writer, director and star of such films as Jay & Silent Bob, Clerks and many more. 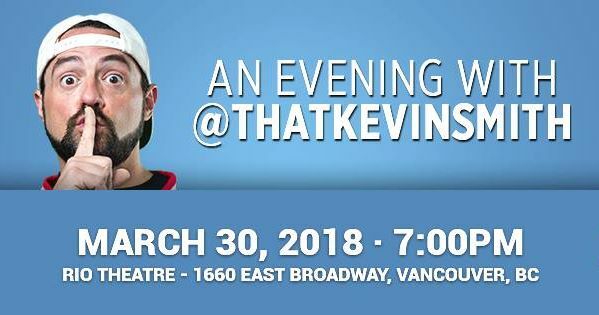 Kevin Smith who is a graduate of The Vancouver Film School is planning to host some fundraiser events at the theatre. After that event --he came back out at 9:30 for another performance. Pretty amazing considering that he had a heart attack after a performance in February of this year. He is doing better obviously and still stayed and did both performances. Toy Traders also donated toys along with Kevin's time(of course)the toys generated about $10, 000 for the evening with the entire evening grossing about $50, 000. The campaign has a deadline of Monday April 16, 2018. So if you would like to donate to this cause please do so before Monday to ensure they not only get your money but to also make sure you can get the item(s) that you would like. They are able to take donations in the theatre until May 7. Monday April 16-will be some fun on the stage as Europe's song "The Final Countdown" will be the ONLY song that is allowed to be sung in their Karaoke night for a last attempt at making more money to save this gem. I had the pleasure of speaking with Corinne Wednesday evening prior to finishing this piece and it was inspiring to hear her passion for this theatre. As I mentioned earlier where others would stand by and let things crumble and move on, she once again is standing. I told her that is was and still is her tenacity to get things done, like she did with the liquor board. I told her that those sorts of things get people inspired. She also told me that she is an eternal optimist. She cannot understand how others can just allow somethings to happen and not give a good fight on something that you are passionate about. We went on to talk about the future of The Rio when she does win and keep it going --it will be business as usual with somethings in store that she is not even sure of what that will be exactly. In future she just wants what's best for the overall community and the Rio , it seems like the majority of the community is in support of the Rio --let's get some more global support for her passion speaks volumes. Her drive and willingness to keep pushing herself --sadly had her falling down a flight of her own stairs and landing hard on her side of her head. Not allowing her to participate on most of the telethon weekend. But taking care of herself and her health. 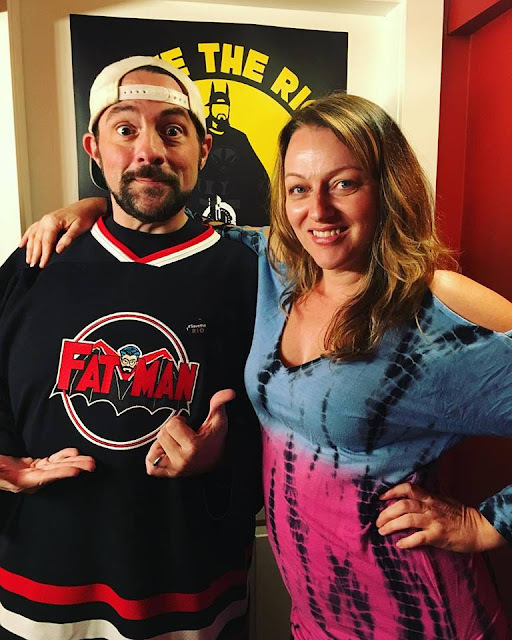 She told me that the hard work was behind her with the Kevin Smith evening and the telethon had already been planned far enough in advance --all she needed was the stage lights and a start of the cameras. All that she had to do was watch what she could and mostly rest and keep nourished. I am very excited to have this dream turn into reality , we can do it. It's not over by a long shot. Thank you to Corinne for taking the time to speak with me tonight.